In the heartland, a genius silently prowls. 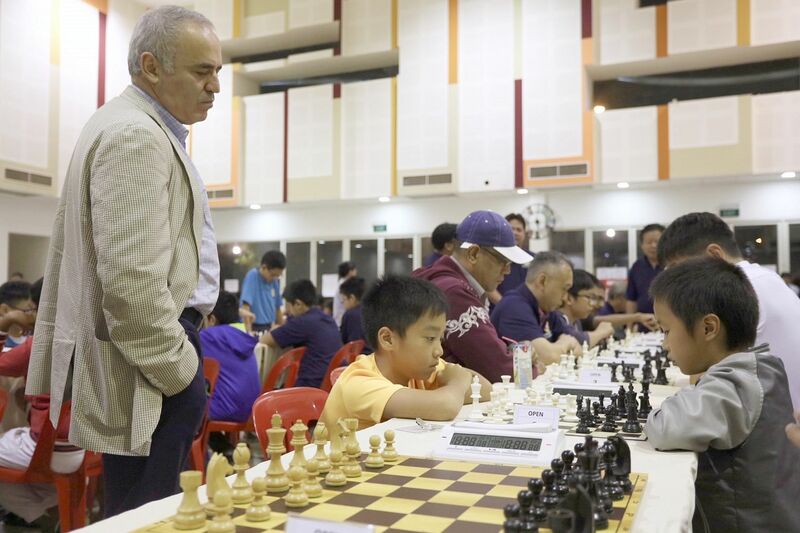 His hair greying, his intellect unfaded, the greatest player of his sport - all right, arguably - watches boards at the Punggol 21 Community Club, reads moves, his brain only in chess first-gear, gently teasing a fellow who has agreed to a draw. Because for the high-risk Garry Kasparov a draw is heresy. Bobby Fischer, the late American grandmaster, apparently once said, "I like the moment when I break a man's ego," and chess players have a wordless ferocity to them. They sit almost in boxing distance, hands clasped over forehead, planning coups and plotting humiliations. 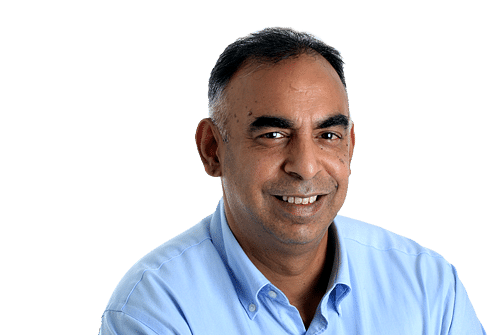 "It's a very brutal form of psychological warfare," says Kasparov, who was world champion at 22 and is now 54 and long retired. "There's plenty of psychology in the game, especially when you get the long matches. When you face one opponent many times as I faced Anatoly Karpov hundreds of times, so then you know it's psychological exhaustion. And also winning at the game of chess is like wiping out, you know, intellectually your opponent. "So, it could have profound effects. I resisted this pressure by always believing that no matter what happens there, it's up to me to make a difference. If I lost the game, it's because I played poorly, I could see my mistakes and I shall overcome this challenge. But for a lot of players, losing, especially the key games, could have a devastating blow." This sets them back psychologically? "Absolutely. Exactly. Some great players, they just couldn't survive this blow." The chief guest at an event organised by the Kasparov Chess Foundation Asia Pacific, this is an unusual person. He's a sort of Michael Jordan of this mind game and yet he's never competed at the Olympics and never been on a Sports Illustrated cover, possibly because he only moves a few inches at a time. I've met a world chess champion before, the genial, wise and funny V. Anand, but Kasparov, who tweets on politics and lectures on artificial intelligence, is a trifle intimidating. It's like a failed science student having lunch with Archimedes. I'm not entirely certain if there's a definite link between high IQ and chess greatness but in our minds we somehow presume there is. Kasparov, who pauses before he speaks as if constructing a move and occasionally furrows his brow at a question, is a good sport. I want to know if he's intrigued by athletes and he speaks of having watched every football World Cup since 1970, muses about Pele, Maradona and Messi and notes that "you understand that technique is now more sophisticated". He talks of Muhammad Ali but points out that "what was really intriguing is to see how (George) Foreman could make a comeback many years later, in his late 40s, to show that he still has guts. And again... youth is important, energy is important, but still experience and determination (matter)." "It's a very brutal form of psychological warfare," says Kasparov, who was world champion at 22 and is now 54 and long retired... "Also winning at the game of chess is like wiping out, you know, intellectually your opponent." Of course, he cannot resist conversation on machines and will say, among other things, that "there's certain things people don't understand about machines. They think machines solve problems. Machines don't solve chess... they win. Winning and solving are different things. Winning means you make less mistakes than your opponents. And machines are very good in punishing us for making mistakes". I told my father I was meeting Kasparov and he sighed in envy. He's a beard-pulling, average player with a long love for chess who used a homemade wooden board in the 1970s to try and make me see what he did - the possibilities, conspiracies, seductions. But even though my romance was short and untidy, it was enough to seed a respect for the game. So I am listening as Kasparov speaks about art, ingenuity and why chess helps kids with decision-making. About how players these days have access to the same information through databases and "so it's all about using your creativity and adding your human factor to empower the machine's brute force". I wonder what deteriorates in chess players, a sort of mental equivalent of the torn ligament, and he says: "Energy." You have to live with the game 24 hours to own it. "You need concentration and concentration means that your mind should be very clean, also clear from other problems. People ask: So why don't you come back... But I have so many things, I have speeches, I have family, kids and other things, so it's impossible." Kasparov promised 15 minutes but after 20 he is still talking. Time is not an issue for a player whose World Championship with Karpov in 1984-85 was undecided and then abandoned after five months. As he shakes my hand, a thought strikes me: While I'm not here to make a case for chess at the Olympics, how come it keeps getting rejected? It's less important than trampolining! Surfing is more widely popular! E-gaming will get there before it! In solidarity with chess players, I'm holding my forehead in incredulity. Then again, maybe they're simply too smart for these sweaty Games.